Home English Pawan Kalyan’s heroine as Nadiya! Pawan Kalyan’s heroine as Nadiya! Adivi Sesh starrer spy thriller Goodachari is gearing up for release on August 3rd. Teaser of the film unveiled by Samantha recently has raised curiosity. Sobhita Dhulipala is the female lead of this film directed by Shashi Kiran Tikka. Supriya Yarlagadda, niece of Nagarjuna who debuted pairing Pawan Kalyan in ‘Akkada Ammayi Ikkada Abbayi’ is set for a comeback. 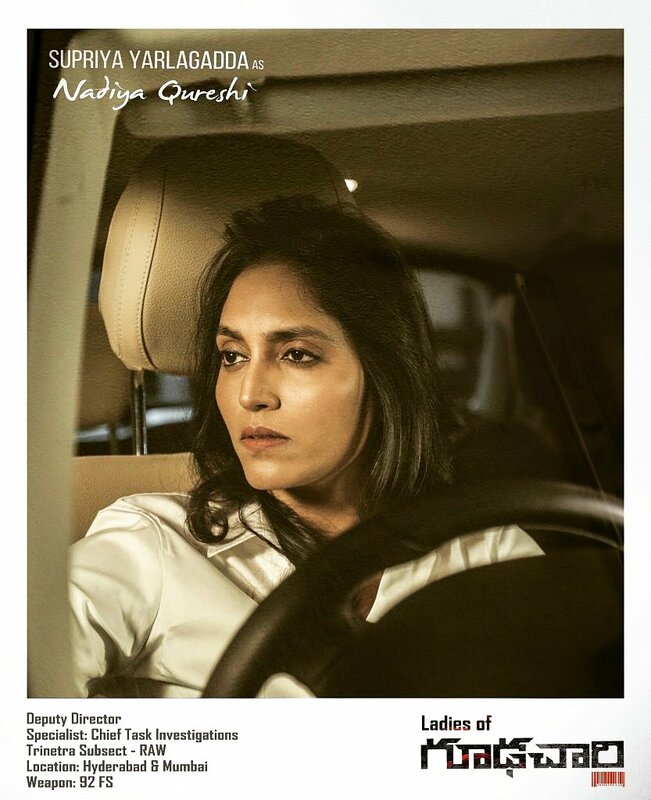 Makers revealed her role to be Nadiya Qureshi, deputy director of RAW investigation wing. Goodachari is extensively shot in USA, Hyderabad, Bangladesh and Himalayas. The film is produced by Abhishek Pictures.